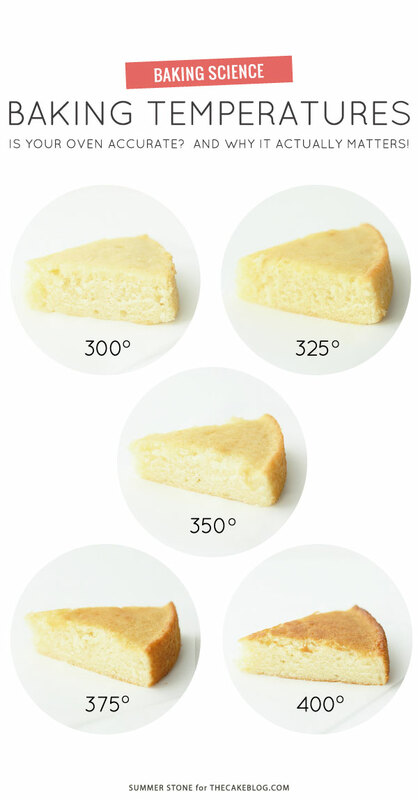 Have you ever wondered why most cakes are baked at 350ᵒ F? And why do cookbooks and baking authorities make such a fuss about making sure your oven temperature is accurate? What is it about that mystical number on the oven’s dial that makes it work so well for baking and what happens if, heaven forbid, your oven temperature is off? Let’s take a quick look at the effect of oven temperature on the baking process and how you can take control of the outcome of your baked goods with a little thermal know-how. 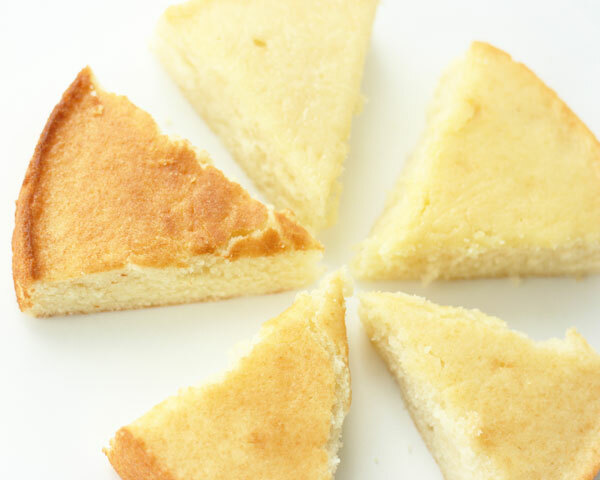 If a cake is baked at a relatively low temperature, these steps take place more slowly and evenly throughout the cake with less overlap in processes. 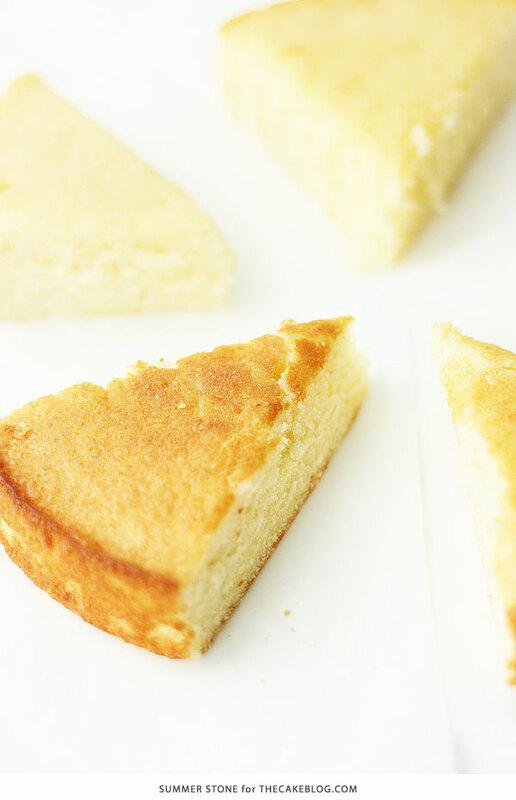 The gentle rise in batter temperature allows the external crust of the cake to react in similar fashion to the inside of the cake. Conversely, batter placed in a high temperature oven will have a number of processes going on in rapid succession and in uneven distribution. In this scenario, the cake crust will undergo all of the steps more quickly than the internal portions of the cake. I baked a number of cakes from 300ᵒ F to 400ᵒ F to provide a practical example of how oven temperature alterations can modify the end results. A cake baked at 300ᵒ F is lighter and fluffier than a cake baked at 400ᵒ F. The cake baked at 300ᵒ F also has a pale even outer crust which remains gummy due to the reduced degree of evaporation at the cake’s surface. The 400ᵒ F cake has a dark, ledged outer crust with a more dried surface. The evaporation of water on the surface of the cake enables caramelization processes to occur. Caramelization can add flavor but if taken too far can lead to a burnt, acrid taste. The other notable difference in the cakes with various temperatures was in the consistency of the crumb. The cake baked at 300ᵒ F had a very soft, smooth crumb while the cake baked at 400 F had a slightly more rough-textured mouthfeel. This is likely due to the speed under which the proteins coagulated. Cakes baked through the spectrum of temperatures between 300ᵒ F and 400ᵒ F display gradual variants of these two extremes. 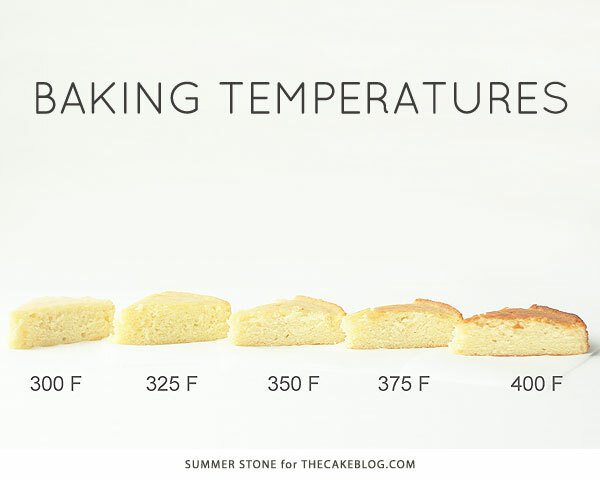 Baking at 350ᵒ F is sort of a happy medium between 300ᵒ F and 400ᵒ F and creates a cake that has the best of both worlds. It has lightness, texture and caramelization induced flavor. There you have it! Altering the temperature in which you bake has a significant effect on the outcome of your cake. By knowing the accuracy of your oven, you can better predict the final result of your cake. If you’ve ever baked a recipe and wondered what went wrong, give your oven temperature a second look. Most ovens are calibrated inaccurately, leaving you unaware that you’re baking at a temperature above or below what your recipe specifies. It is helpful to purchase an oven thermometer to test the temperature and then adjust as needed. Plus you can exert some control on the height and texture of your cake simply by adjusting the heat dial on your oven up or down a bit. Thank you so much for posting ALL the this. The pics with explanations of each methods is extremely helpful and has answered many questions. Thank you! Second question if i bake at 400 for 20min then i bake at 350 for 35min then at 300 for 10, cake type is cotton cake. What kind of cake will i get? i don’t believe this is going to be effective. might have better luck putting it under a broiler for 1-2 minutes to almost carmalize the sticky stuff on top. alter the times slightly to allow for the radiant heat of oven and the cake itself to achieve that 400 degree mark. i.e. whao, thanks for sharing this tip. Please my oven’s highest temperature is @ 250, how can I still achieve a well baked cake? If highest temp is 250 it means it’s in centigrade not in farhenhites. You need to bake the cake at 170 which is equally good as 350 farhenhites. I had the same question.But this article has cleared it. Thanks for the tips! My question is about when cakes or muffins come out of the oven. The tops seem to be nice and “springy”, but when they cool off the tops always get sticky. What would you suggest I do to fix this? Thanks! Hi. Thanks for this, it will cone in handy. Just a quick question, any suggestions as to how much we should adjust baking time when changing the temperature? I just read your Baking Temperature Comparison. I found the article fascinating and it will help me a lot. I’m very anxious to read more of your articles. Thank you very very much for your expert advice. Thanks for the article. It was very well done, well thought out, and explained perfectly and clearly. 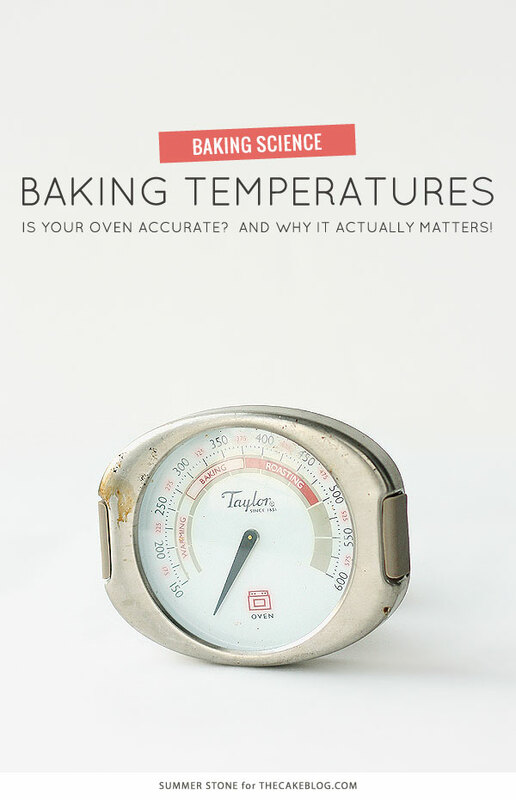 This information is so wonderful and just what I have been looking for to help me bake better. I love the science and pictures. You are a great teacher. This blog is really helpful for me. By the way can i ask? What should i do if my oven’s heating temperature is just 200°F? I discovered through two flops that humidity can keep cakes from rising properly or falling after baking. What should the humidity point be for proper baking? Love the article and I have one question, What size of cake pan did you use when conducting this experiment? was it the traditional 8 inch round 2 inch thick? Thank you for these charts. Is there a print button? i couldn’t read it all but anyway thanks alot it was helpfull.